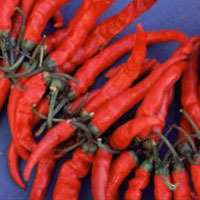 Some dieters say that cayenne helps decrease appetite. Research suggests that cayenne increases the body’s heat production (thermogenesis) and speeds up the metabolism of fats and carbohydrates. Also in these studies, cayenne increased production of epinephrine and norepinephrine—a sign of increased activity of the sympathetic nervous system, which could account for the reduction in appetite. The studies thus far are few and relatively small (less than 20 participants).